The next time you are at an event at the Calgary Stampede and if it features a banquet menu, or simply a grab-and-go food, you should know that the flavour is home-grown. The Calgary Stampede celebrates Calgary’s agricultural roots and the importance of livestock and food in the development of Western Canada. It is only fitting that the Stampede supports local Alberta growers and agriculture in this province. As a large organization, we are getting back to our roots and making changes that increase our sustainability and commitment to the land. The Calgary Stampede supports local producers and reduces the environmental footprint associated with hosting events, while serving up an authentic western culinary experience from Stampede kitchens. The Grown Right. Here. program was initiated in 2008 and operates year round. 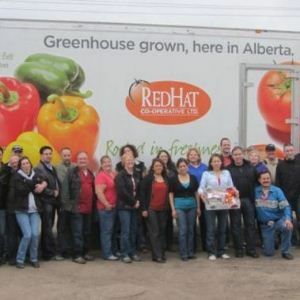 “Sourcing food from local producers can be a challenge – especially in Alberta’s climate. It is a balancing act due to seasonality and supplier availability, but we work closely with local producers to obtain as much as we can from them,” says Derek Dale, executive chef, Food and Beverage. The Food and Beverage team then leverages their creativity to invent menus that are seasonal and delightful. 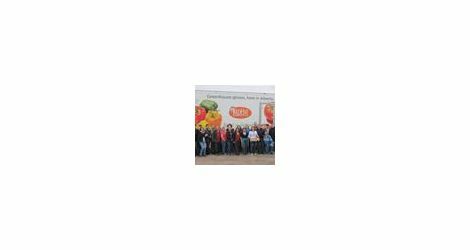 Through this program the Stampede is building mutually beneficial relationships with local farmers and producers which in turn builds a strong community that is committed to sustainability. This year the Calgary Stampede is also playing host to the Ag for Life - Harvest Gala at the BMO Centre on Sunday, November 3. The event will be a fusion of urban and rural styles, including locally produced foods, the sights and sounds of Alberta artists, a silent auction and a unique community market where friends can connect. 1. Role in Calgary’s food system - The City of Calgary p. 3.